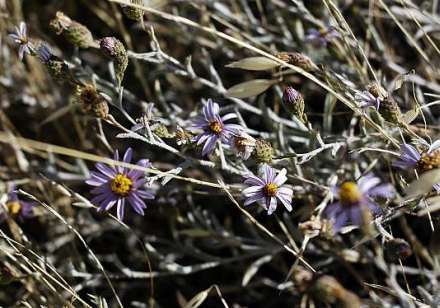 Fast-growing groundcover with silvery foliage and a prolific late-summer bloom. Shape and form widely vary depending on environment. This plant is also a Gabb's Checkerspot butterfly larval host plant. 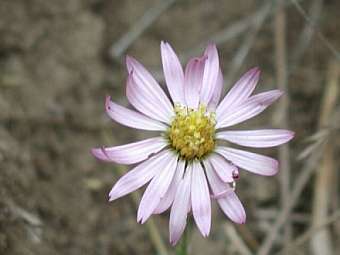 The name has been changed to Corethrogyne filaginifolia. Wild form on the north coast. 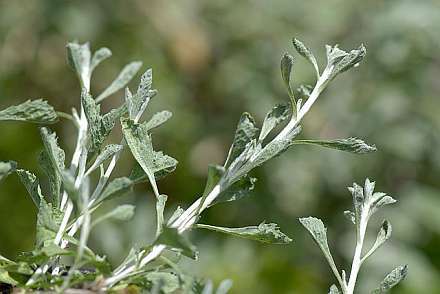 The upright form (to 3 feet tall) with feathery silver leaves.